For more information, please contact info@theartworks.org.uk or call 01422 346900. With your studio space, you will also have the option of choosing a course or workshop each term that you would like to attend. Access would be available from 9.30am till 4.30pm Monday to Friday. A dedicated space within an open studio environment. Studio holders also have access to free wifi and are working amongst creative artists in a range of different mediums. Access would be available from 9.30am till 4.30pm Monday to Friday. This would be a studio space on our second floor, where you would have 24/7 access to your space. 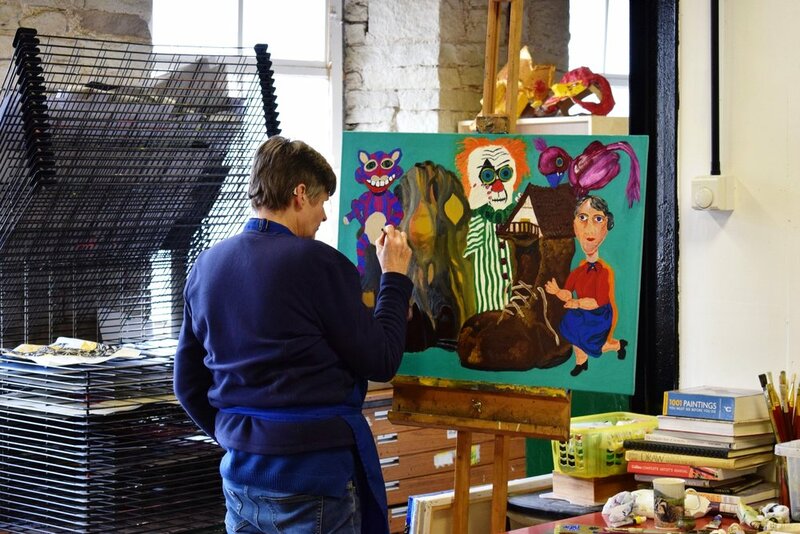 Studio holders also have access to free wifi and are working amongst creative artists in a range of different mediums. This could either be your own double space or joint studio space second floor that would be shared between two artists. Artists would have 24/7 access to the studios. Studio holders also have access to free wifi and you are working amongst creative artists in a range of different mediums. 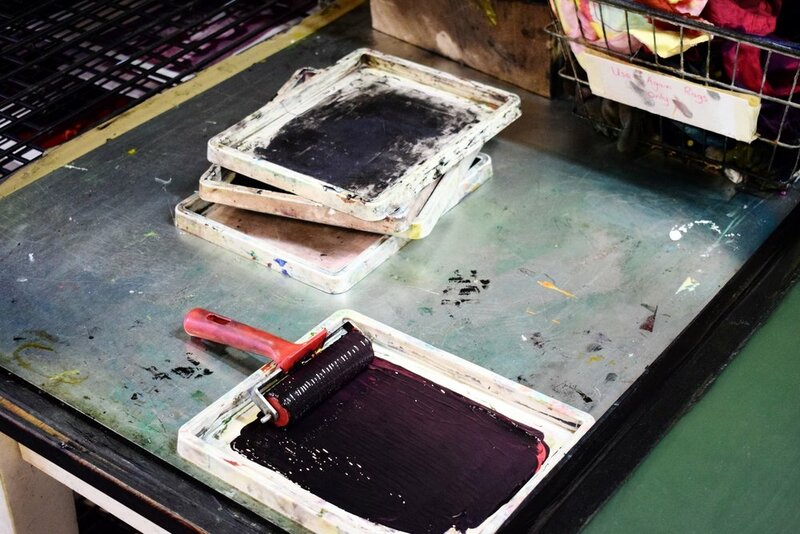 We offer the opportunity for individuals to access our extensive printmaking facilities. Please note there is a one off payment of £25 to cover the Health and Safety induction. If you are interested in either hiring space or renting a studio, please fill in the form below.